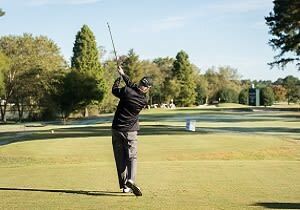 The SAS Championship is an official PGA TOUR Champions event, featuring the top golfers in the world over the age of 50. The Tournament has established itself as one the best events on Tour for players, patrons and partners. Event week focuses on engaging the Triangle community with special events, giving back to youth educational charities and providing companies the ideal platform to deepen customer relationships, engage a unique demographic and entertain key clients and employees. Some of the events throughout the week include the Open Qualifier, Executive Women's Day, SAS Pro-Am, Y Learning Visit, Food Truck Friday, O2 Fitness 5K, PNC Family Challege Clinic and much more. View the full schedule, here.